Today we have three runners lining up between the meetings at Flemington, Gold Coast and Loyalty Man looks well placed to be competitive in the Listed Magic Millions Cup over 1400m on the Gold Coast. We have two black type runners this weekend, on both sides of the Tasman, that go into their races as last start winners, so we are really excited to see Loyalty Man line up in the Listed Magic Millions Cup and Savile Row line up in the Group 1 Levin Classic. 1.22pm R2. VANDANCER - Katelyn Mallyon; was really impressive winning on Christmas Eve at Sandown at her last start with Katelyn aboard. They pair up again today in a similar event and can repeat the dose with an economical trip from a good barrier draw. 2.32pm R4. BARTHELONA - Patrick Moloney; a promising three-year-old colt by Zoffany returns off a short spell today. 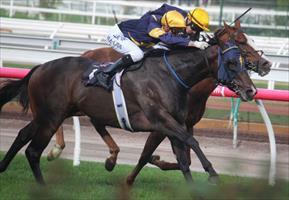 He has strung together a great record of three wins from four starts and although he has to carry 60 kilos in this field, he has the class to overcome the weight. 2.35pm R6. LOYALTY MAN - Craig Williams; has been racing in top form. Travels to the Gold Coast to contest the Listed Magic Millions Cup over 1400 metres. Faces tough competition here, but has a genuine lightweight chance of taking honours in this event.